& Orthodontics in Laguna Niguel! Welcome to the beautiful new office of Dr. Fariba Bigdeli, Laguna Dental and Orthodontics. Here you’re more than just a patient, you’re a family member! Dr. Bigdeli prides herself on delivering outstanding service in general dentistry and orthodontics to every patient — every time they visit. 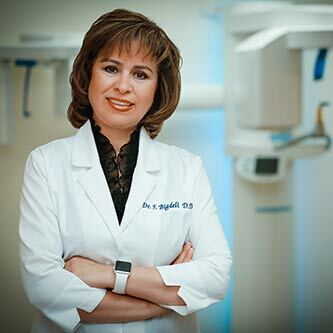 Dr. Fariba Bigdeli and the staff at Laguna Dental and Orthodontics is pleased to serve the people of Laguna Niguel and surrounding communities at our new location on La Paz on Aliso Creek Road in the Walgreen’s shopping center. From our modern, innovative office to our convenient location, you are sure to be impressed with everything about our practice. The Laguna Dental and Orthodontics team is here to serve you and make your visit a pleasant experience. Dr. Bigdeli and the staff are happy to answer any questions or concerns you may have. Call us today at 949-831-2905 to schedule your consultation. We look forward to meeting you and helping you have a healthy, happy smile for years to come!